Since I am a stay at home dad, the NHL Network is constantly on in my house just as something to have on in the background. While I was feeding my 4 month old, a name that I hadn't heard in a while came on the screen as he had recently been hired by the NHL Network and was going to work his first game as an analyst that night. The name was Colby Armstrong. Yes. 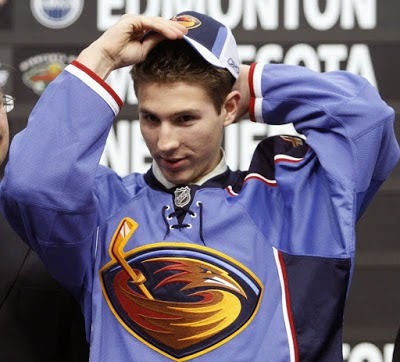 The same Colby Armstrong that was the "centerpiece" (along with Erik Christensen, Angelo Esposito, and a 1st round pick) in the package of players that was sent back to the Atlanta Thrashers in 2008 for Marian Hossa and Pascal Dupuis. Everyone who watches the Penguins is well aware of the success that Dupuis has had in Pittsburgh and everyone that pays attention to hockey knows about the player that Hossa is in Chicago, but whatever happened to the guys that the Penguins sent away? Their careers say that just Dupuis for the entire package that Pittsburgh sent to Atlanta still drastically favors Pittsburgh. Add Hossa's stats to the mix and Ray Shero should be in prison for absolutely robbing the Thrashers. After being traded to Atlanta, Colby scored 11 points in 18 games (4 goals, 7 assists) to close out the 2008 season. The following season, Armstrong played all 82 games for Atlanta earning himself a 1 year $2.4 million contract and was named an alternate captain for the 2009-2010 season, his last one as a member of the Thrashers. During the summer of 2010, Armstrong signed with the Toronto Maple Leafs for 3 years at $3 million per season. Unfortunately, injuries and inconsistent play led to Toronto buying out the final year of Armstrong's contract. 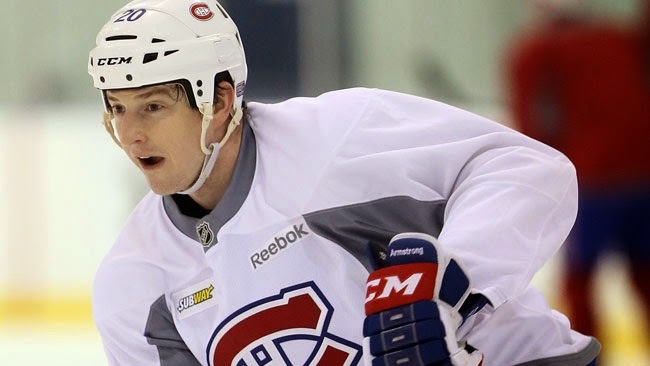 The last NHL team that Armstrong would play for is the Montreal Canadiens during the lockout shortened 2012-2103 season in which he played on the fourth line. Colby's last professional contract would be in the Swedish Hockey League with the Vaxjo Lakers. He is now working as an analyst for the NHL Network. Christensen's pro career was off to a promising start when he scored 19 (9 goals, 10 assists) points in his first 9 games at Wilkes-Barre/Scranton earning himself a call up to the NHL in 2005, but it would prove to not last. Following the trade to Atlanta in 2008, Erik was traded the next season, this time to the Anaheim Ducks for center Erik O'Dell. His time in Anaheim would also not last long as he was claimed off of waivers in December of 2009 by the New York Rangers. Christensen would find some consistency and remained with New York until being traded to the Minnesota Wild in 2012 for center Casey Wellman. 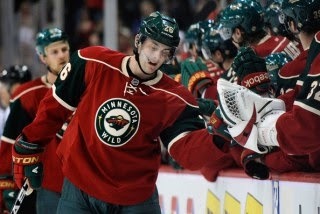 Minnesota would prove to be Christenson's last NHL team as he signed with Lev Praha of the KHL (Kontinental Hockey League, formerly the Russian Superleague) for the 2012-2013 season. If you look up "draft bust" you might just see Esposito's face staring back at you. 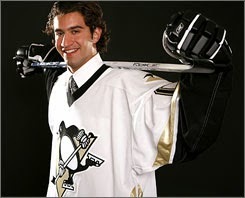 The 20th overall pick by the Penguins in the 2007 NHL entry draft, Esposito has yet to play in an NHL game. Since being traded by the Penguins, he has played for the Chicago Wolves of the AHL (American Hockey League), the Montreal Juniors of the QMJHL (Quebec Major Junior Hockey League), the San Antonio Rampage of the AHL, the Cincinnati Cyclones of the ECHL (formerly the East Coast Hockey League), the Texas Stars of the AHL, the Lahti Pelicans of the SM-l (Finnish Elite League), the Milano Rossoblu of the Serie A (the top level of professional hockey in Italy), and the Fort Wayne Komets of the ECHL. Esposito appeared in the opening game of the Komets' 2014-2015 season before being released from his contract on October 18, 2014. Leveille was the player that Atlanta selected with the first round draft pick that the Penguins traded along with the aforementioned players. Leveille has yet to be called up to the NHL and ironically spent some time with the Wheeling Nailers of the ECHL, a minor league affiliate of the Penguins as well as the Hamilton Bulldogs of the AHL, under whom Leveille was under contract. He is currently playing for the Dragons de Rouen of the Ligue Magnus in France.